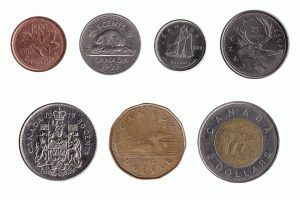 The Canadian Dollar was introduced as the currency of Canada in 1858, replacing the Canadian Pound. Canadian Dollars are also used for payments in the French overseas collectivity of Saint Pierre and Miquelon. The Canadian dollar was identified as one of the safe haven currencies for 2017. We exchange both Canadian coins and banknotes, and we accept withdrawn Canadian Dollar banknotes. Our online exchange service is quick, easy, secure and free of charge.